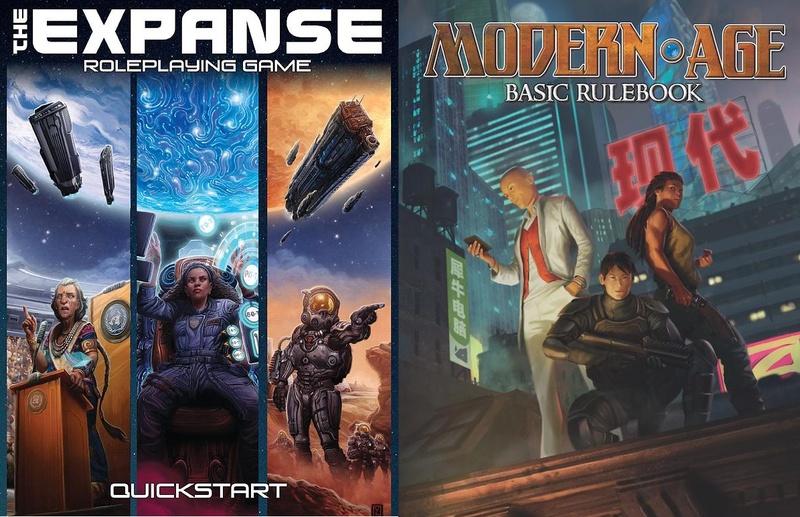 Modern AGE is currently undergoing final touches before the advance PDF and preorders start, so this Modern Monday’s going to be a short one talking about genres, modes and the reason we give them special emphasis. Dungeons and Dragons invented its own genre. Yes, it grabbed elements from numerous sources in fantasy fiction and medieval wargames, but its peculiar history mixed those up in a distinct fashion. Over the next 44 years, other games added new elements to the mix, reacted to the curious construction of “dungeon fantasy.” Writers, producers and game developers brought it into new media, adding their own sensibilities and practical insights—and then roleplaying games brought that expanded melange back. At this point, we have a very broad but definite idea of what a classic fantasy RPG looks like. It’s got elves, magic, a team of heroes, high adventure. You can introduce significant variation (and Fantasy AGE does this well—look at Titansgrave!) but there’s always a core experience to refer to and design around. Modern games never started out with their own mixed-up new genre. The first RPG covering anything like what Modern AGE covers was Boot Hill, and it wasn’t a generalized industrial-age RPG, but a Western game. 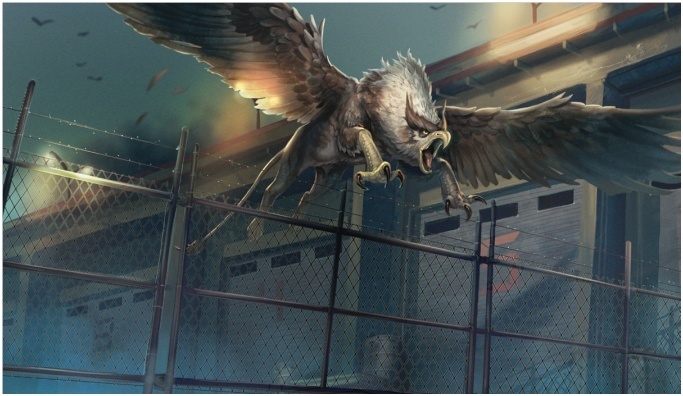 Unless you go with a full-on alternate universe, a modern era game must deal with the concrete history of the industrial era and beyond, and the fiction found within it: action-adventure, horror, urban fantasy, spy stories and so on. Thus, a game like Modern AGE needs tools you can use to customize it for your campaign’s chosen genre. The front line for customization is game mode: Modern AGE’s Gritty, Pulpy and Cinematic rules variants. These primarily affect how physically resilient a character is, but occasionally foray into other areas. For example, the Cinematic option for Resources (wealth in the game) allow for a steady increase as your character advances. They can move on up to international intrigue and prodigious expense accounts without too much trouble. Note that modes are packages of options, and you can always fine tune rules within a mode. One of the reasons the modes exist is to give you access to rules which fit your selected genre. The Game Master section of Modern AGE presents several genres—folk horror, conspiracy thrillers and more—with their suggested modes. Beyond modes, Modern AGE includes a few different optional game systems for elements particular to certain genres. The most notable of these are the rules for magic and psychic powers. Both power sets have similar default systems, but rules options let you customize these to fit your campaign. Brief notes for other powers can be found in the game’s coverage of genres. Finally, the Game Master can decide all characters have access to the power of Conviction, a game system which rewards emotionally resonant, dramatic play. First found in Blue Rose, Conviction is presented as an optional system in Modern AGE. Beyond powers, chases, breaching tests and other secondary systems exist to support the genres in which they appear. Breaching tests are for capers “where a plan comes together,” and chases are a mainstay of action media. Modern AGE even provides some support for the sorts of movies where, against all common sense, people catch up with cars on foot—but that’s Cinematic mode, applied to the chase rules. Coming next year, the Modern AGE Companion (currently text-complete, and in editing) digs deep into genre. It includes coverage on how to make characters for particular genres, and special rules covering the mainstays of many types of fiction. That means rules for fear and horror, duels and complex martial arts styles, gadgets and extraordinary powers, and more. We didn’t take anything vital out of Modern AGE (and in fact we migrated breaching from World of Lazarus into the core game because Crystal Frasier’s rules just cried out to be core material!) but the Companion opens the next level of customization. I look forward to sharing more with you, when the time comes. Hi folks! It’s Memorial Day, so Modern Monday is coming in a little late. In response to some online questions last week, I want to clarify what the Adventure Game Engine (AGE) roleplaying games are, how they’re connected, and who’s managing them. When I talked about plans for Modern AGE, a few of you were wondering why I didn’t talk about Fantasy AGE or The Expanse. So, here’s the explainer. What is the Adventure Game Engine? 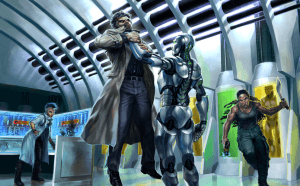 The AGE system powers several Green Ronin roleplaying games. Along with the Chronicle System and Mutants and Masterminds, it’s one of the three systems Green Ronin has designed which the company is actively developing through various lines. (Okay, there’s Ork! too, so let’s say, “the three systems not based on the whims of a sadistic ork god,” instead.) We also work on projects for open game systems like 5th Edition, but AGE, Chronicle and M&M are specifically ours. AGE is not a “generic” system. Rather, it’s a set of common game mechanics and principles which we use as the basis for a number of separate games, each with additional rules designed to emphasize a certain type of play. Some cross-pollination occurs between the lines, of course, but each AGE game has its own emphasis, and is developed separately. AGE’s foundations include rolling 3d6 plus bonuses versus a target number, selecting stunts by generating Stunt Points through matching dice, and trusting the GM to improvise and make the system their own. That’s not all it’s about, but those are the most notable elements. So, now you know that each game is its own thing with its own development, proceeding from some common elements, let’s break that down into specific games. Based on Bioware’s computer RPG series and its world of Thedas, Dragon Age presented the first version of the AGE system. Dragon Age was originally released in three box sets which brought adventurers from 1st level to the apex of their powers but is now available in one omnibus edition. Worth Noting: In Dragon Age, Strength improves ability in close combat, and Dexterity is used for ranged combat. Dragon Age also has many elements inspired by the world of Thedas, including detailed rules for traps, unique specializations, and character backgrounds unique to that world, such as the Dalish Elves and Ferelden people. Classes are Mage, Rogue and Warrior. Fantasy AGE is an implementation of AGE designed to support classic fantasy genre gaming. It’s designed to be easy to learn. The core rules aren’t tied to any specific setting, but Titansgrave: The Ashes of Valkana is a post-apocalyptic science fantasy adventure series designed for its use. 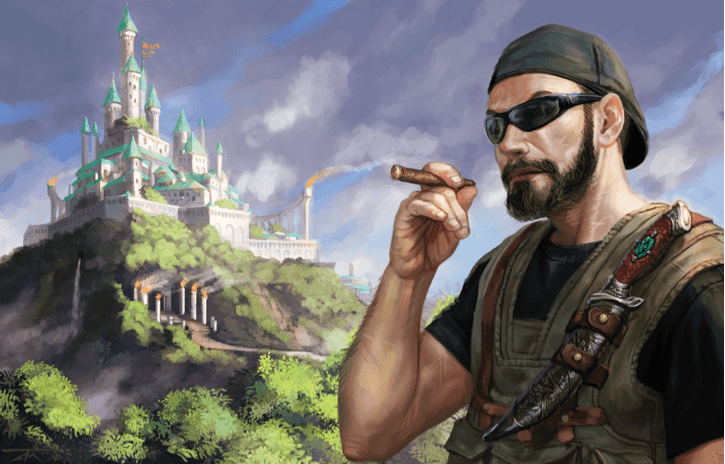 Fantasy AGE is customization friendly, with the Fantasy AGE Companion providing a host of expanded and optional rules GMs can apply as they see fit. Worth Noting: Fantasy AGE introduces Fighting and Accuracy to govern heavy weapons and light or ranged weapons, respectively. Magic provides spells according to theme-based arcana. The Mage, Rogue and Warrior classes are present here, with mechanics designed to support heir respective niches. The current edition of Blue Rose is the successor to its first edition, which used the OGL-based True 20 system. Blue Rose emulates progressive and romantic fantasy, especially as it evolved from the 1980s onward. In its world of Aldea, truly just societies (and not just despotic regimes we accept as “good” because it’s part of a genre convention to be cool with kings) thrive, but not without challenges. The adventure compilation Six of Swords can get you started. Worth Noting: Blue Rose introduces Relationships and Conviction as core mechanics, giving characters extra resources to draw on in defense of the people and motivations which define them. Character backgrounds are tailored to Aldea, and include the mystical vata and the rhydan, sapient, psychic animals. Magic as an intuitive psychic gift is a strong part of the romantic fantasy genre, so Blue Rose’s arcana differ from those of Fantasy AGE to support that. 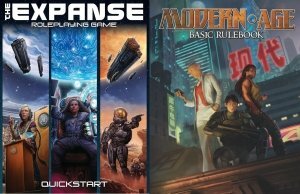 Modern AGE’s preorders and advance PDFs will be available Very, Very Soon. I won’t go into detail because I’ve been doing that for weeks. 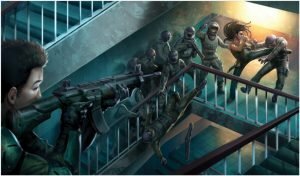 Modern AGE has no default setting, but the World of Lazarus, following the core book shortly, will provide a possible setting based on Greg Rucka’s comics series. Coming to crowdfunding this year, The Expanse is based on the novel series by James S. A. Corey (which as many of you know, is Daniel Abraham and Ty Franck), which explores a future wracked with interplanetary rivalry. Earth and Mars compete for control of the Solar System while the peoples of the Belt struggle with their demands—at least, that’s how it starts. The Expanse tailors the AGE system for gritty hard SF stories, including new rules for technology and spacecraft. Next time, I’ll go on and on about the genres I like, and how Modern AGE supports them. Until then, I’m working on the next couple of books for the game. Take care! So, after answering some questions last week, general chatter compels me to talk about what we have planned for Modern AGE. In most cases, I’m going to talk about the current state of each release. Then I’ll answer a common question about how Modern AGE compares to its sister, Fantasy AGE. The following things are in various stages of production—that is, the creation of a book from developed and edited text files. Modern AGE Quickstart: It’s out! Read about it and download here! Modern AGE Basic Rulebook (This is the core book! ): This is currently going through last proof and art finalization. The advance PDF and preorders should be ready for June. 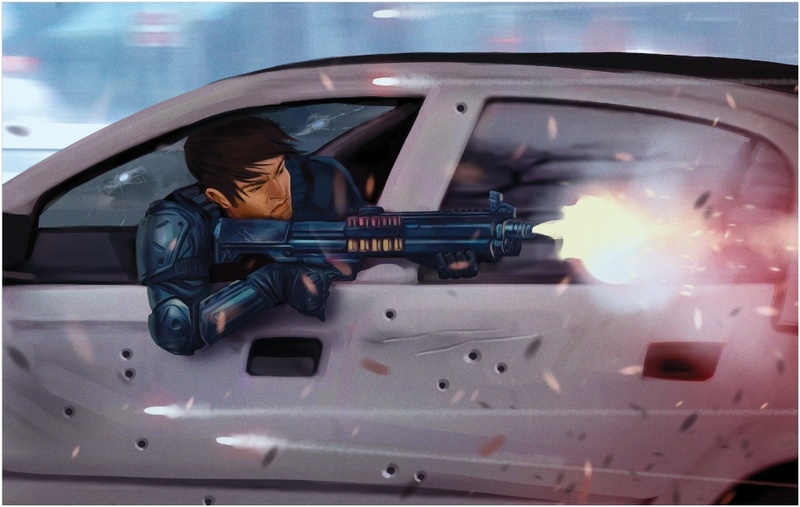 World of Lazarus: World of Lazarus is the first setting book for Modern AGE. It’s based on Lazarus, Greg Rucka’s dystopian-transhuman comic. Check the comic out (external link to Lazarus at Image Comics). This should be finished production shortly after the core. Note that project is a creation of Mutants and Masterminds developer Crystal Frasier, which is fitting, since she knows how comics and games intersect much better than I do. Modern AGE Game Master’s Kit: This is the GM screen and reference card kit for Modern AGE. This is very close to finishing production and will be released hot on the heels of the Modern AGE Basic Rulebook and Lazarus. The following thing happens to be text-complete, by which I mean writers have written it, and I’ve developed it, but it hasn’t entered production. (Announcing the) Modern AGE Companion: This is currently in editing. I may add a short set of options we excised from the core book. 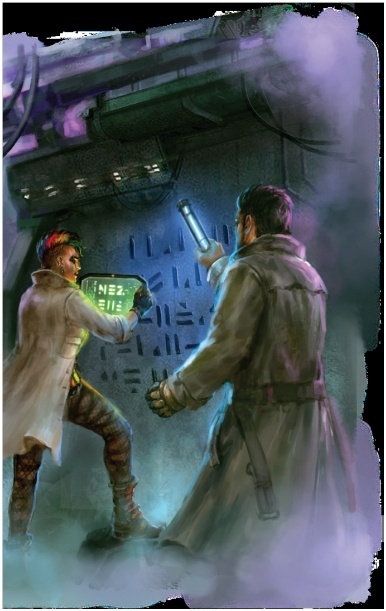 The Modern AGE Companion includes expanded rules for powers, new talents and specializations, expanded stunts, campaign management, technology—lots of stuff. 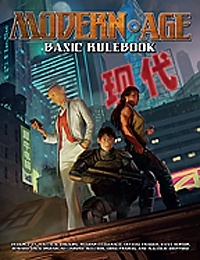 The Modern AGE Basic Rulebook is absolutely a complete game, but the Companion is anchored in the idea of customizing the rules for your campaigns. Did I just announce a new book? Yes. I’ll probably give it a proper breakdown once we reach production. When is it coming out? That’s still to be determined. Okay, so my policy is the further something is from release, the sketchier I’m going to be about it. The following books have had their outlines approved, so I can start working with people to get them designed. They have cute code names for now. Project Cranky (Real Name TBA): This is a utilitarian supplement for Modern AGE, not tied to any set campaign. Project Crooked House (Real Name TBA): This is an original in-house setting. How many shows have you seen where there’s always something weird going down in the “warehouse district?” We are not about to challenge that cliché. From the Modern AGE Quickstart, available now! So, I’ve fielded a few questions about how Modern AGE relates to Fantasy AGE. Modern AGE isn’t just a case of copying and pasting guns over swords. I’ve already talked about how it’s a classless implementation of the AGE rules, but there are several other under the hood changes. These range from Resources, the system we use to manage in-game purchases without you roleplaying getting loans and doing taxes, to Breaching, the advanced test variant designed by Crystal Frasier to support heists and capers. These demand cooperation and dramatic reversals. Crystal originally designed these for World of Lazarus, but we all agreed they were so cool they should be in the core rules. Social systems and investigations are also part of Modern AGE’s core, as is appropriate for games where characters will be deeply embedded in complex societies. Fantasy AGE features magic as a core assumption instead of an optional extra. Certain rules emphasize the special roles of each of its classes. It has several talents not present in Modern AGE, such as Armored Training and Horsemanship, which could be used for modern games, but represented cases rare enough for me to exclude them in favor of others. Fantasy AGE’s magical Arcana can expand the range of what’s available for Modern AGE characters, and Modern AGE’s new rules might be useful for many Fantasy AGE games, but in the end they’re separate lines, with differences that in some cases, cut right down to core systems. We trust you to perform whatever creative mashups you like. I for one would love to hear about any such “FrankenAGE” games. //greenronin.com/wp-content/uploads/2017/07/RoninBanner-1.png 0 0 Malcolm Sheppard //greenronin.com/wp-content/uploads/2017/07/RoninBanner-1.png Malcolm Sheppard2018-05-21 13:25:292018-05-21 13:30:29Modern Monday: What’s Coming? A disease with no Earthly origin strikes. A legendary monster stalks back streets. Refugees from another world hide in our own, afraid of secret authorities. Gates between worlds, a sly demigod and a conspiracy introduce the Modern AGE roleplaying game with its new quickstart! 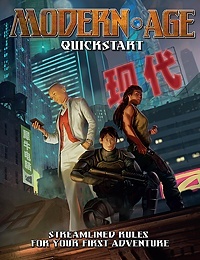 The Modern AGE Quickstart contains streamlined rules for Modern AGE, a game of contemporary adventure which uses the Adventure Game Engine found in Fantasy AGE and Blue Rose: The Age Roleplaying Game of Romantic Fantasy. Pre-set to Modern AGE’s Cinematic rules mode, it includes everything you need to run your first game except six-sided dice, writing materials and your friends. 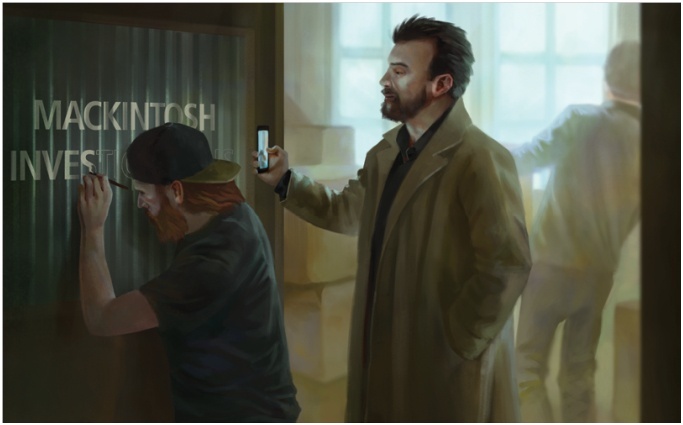 Along with the rules, the Modern AGE Quickstart comes with ready to play characters and Burning Bright, a modern fantasy adventure in its own mini-setting. Using the full rules in the Modern AGE Basic Rulebook, you can continue the quickstart adventure, or devise an entirely new campaign. Modern AGE is designed to support any modern era setting from the Age of Sail to near future action. Modern AGE releases this June, followed by the World of Lazarus campaign setting, based on Greg Rucka’s comic series of future feudalism. Jump into the action and download the Modern AGE Quickstart! https://greenronin.com/wp-content/uploads/2018/05/MAGE-QS-thumb-cropped.png 464 465 Malcolm Sheppard //greenronin.com/wp-content/uploads/2017/07/RoninBanner-1.png Malcolm Sheppard2018-05-16 10:47:492018-05-16 21:18:05Jump into the Action! Modern AGE Quickstart Is Out!